Take IH 35 South, Exit 237A, Turn Left on Airport, Turn Left on Gunter. Condos are on the Left! Hello, I’m interested in 1144 Gunter ST Unit 102 and would like to take a look around. 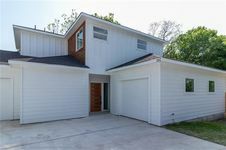 The details on 1144 Gunter ST Unit 102: This condo located in East Austin, Austin, TX 78721 is currently for sale for $435,000. 1144 Gunter ST Unit 102 is a 1,465 square foot condo with 3 beds and 3 baths that has been on Estately for 1 days. 1144 Gunter ST Unit 102 is in the East Austin neighborhood of Austin and has a WalkScore® of 66, making it somewhat walkable. This condo is in the attendance area of Govalle Elementary School, Eastside Memorial High School At The Johnston Campus, and Martin Middle School.